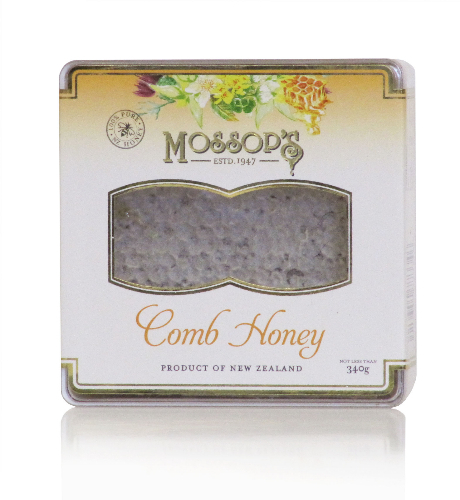 Mossop’s Comb honey is gathered from the fields and farms of the Bay of Plenty. Comb honey is the most pure and unprocessed honey we offer, as it’s taken straight from the hive in its natural form. Comb honey is a gourmet product that is very versatile. Use it as a spread on toast or bread, as a garnish to culinary feasts, on crackers with your favourite cheese or simply have it on its own. The wax is perfectly edible! 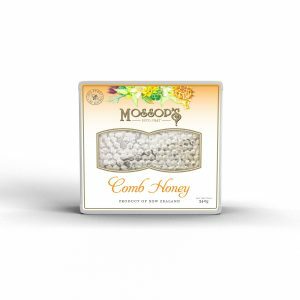 Mossop’s Comb honey can come in either a pasture or Rewarewa flavour and can sometimes have notes of wild berry such as blackberry.